Meeting the goals of the Ontario First Nation, Métis, and Inuit Education Policy Framework is a priority for the Catholic District School Board of Eastern Ontario. For the fifth consecutive year, a group of CDSBEO students participated in a service trip to Sandy Lake First Nation in Northwestern Ontario. The trip provides an educational opportunity for students and educators to learn about the challenges of living on an isolated reserve. This initiative was organized by the department of Religious and Family Life Education, providing the opportunity for new adventures and a chance to build stronger connections between CDSBEO and the Sandy Lake Board of Education. The trip focused deeply on developing a clearer understanding of life in a First Nation community, learning the traditions of the people, and building positive relationships. 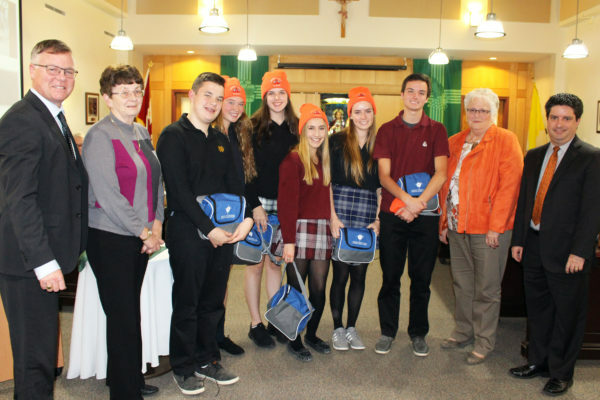 Ten CDSBEO students from five secondary schools participated in the experience, which took place in early June 2018. Described as a life changing journey, students reflected on the most impactful aspects of their experiences, including the adjustment to being geographically isolated and the complications it creates. The Sandy Lake First Nation is accessible only by plane or winter ice road, and transportation of essential goods such as food, clothing, gas, building supplies, and vehicles is difficult and very expensive. Several students that participated in the trip spoke to the Board of Trustees about their experience at the Board Meeting held on October 16. “When first arriving to Sandy Lake it was shocking to think that this is the same province that we ourselves live in,” explained Berkers. While reflecting on the challenges faced by the community, the students also realized the importance of community, and the positive morale of the residents of Sandy Lake. Events such as Treaty Days, many outdoor sports activities and games, and experiencing the installation of the first female band chief, imparted the strong sense of community that exists in Sandy Lake. 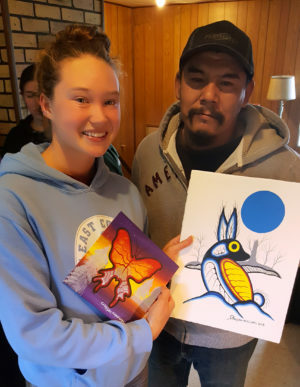 The youth and children of Sandy Lake welcomed the visitors, and the students learned an abundance of lessons, and formed lasting bonds with the youth in the community. Noah King of Notre Dame CHS provided an overview of the cultural teaching the students witnessed. Vice-Chair Ron Eamer commended the students, and reflected on the potential of their experience.